Knowing what we're going to be eating each week, even if I do switch things around, saves so much time and money. It's a simple thing to jot down seven dinners, stick them on the fridge and then just cook each night. 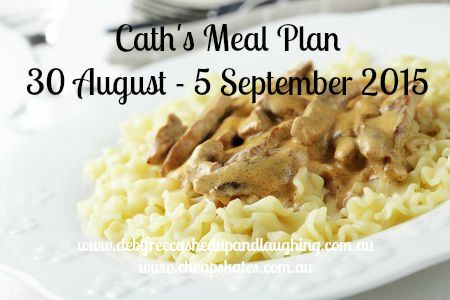 If you've never tried meal planning, do! You'll love it, trust me. Even if, like I do, you switch things around every now and then, the time you save, and the money you don't spend or waste (ever throw out perfectly good food gone bad because you didn't use it?) will convince you to always have at least a simple meal plan.